Why do we call mind-body techniques such as massage, meditation, hypnosis, or acupuncture “alternative” treatments when they’ve been around since the dawn of Man? If these techniques have been around and used for that long, surely there must be something to them. Truth is, you’re already a bit of an expert in some of these techniques. Let me explain. Say you stub your toe. You know full well you’re going to grab that toe and rub it (massage). Next, your breathing is going to change, you’re going to belt out a few choice words, then you’re going to find a place to sit down and relax for a minute (meditation). And don’t forget your need to show everyone where it hurts by pointing to it and pressing on the most painful spot (acupressure). I know what you’re thinking right now: How would any of these techniques help heal my herniated disc or Spinal Stenosis or Sciatica? First of all, none of these techniques can change the physical aspect of your condition. But when you examine the goals of each of them, they all make sense. And, if used together, they can deliver better and faster results. Here’s a quick look at the benefits of a more extensive list of alternative treatments to help you understand how you might incorporate one or all of these techniques into your life. Study this list and then find practitioners to teach you or work with you one-on-one. Massage: There are literally hundreds of styles of massage. Which one is best for you will depend on your comfort level. I would recommend finding some one skilled in Deep Tissue combined with Trigger Point as well as Myofascial Release the combination offers calming of the muscles and manual removal of inflammation by getting rid of the source of the irritant and pain. Energy Techniques: Some of the most powerful techniques are Qigong, Reiki, Polarity, and Reflexology. If you really want to freak yourself out, try energy work with stones and crystals. Hypnosis: There is nothing more powerful than teaching your brain how to control pain and encourage healing. For this one, you will need to find an expert in pain control. Acupuncture: This is the ultimate energy technique. If you’re afraid of needles, you can try acupressure, which is used by some massage therapists. The same idea applies – unblocking your energy paths and allowing energy to flow easily and smoothly, thus reducing your pain. Spirituality: Your thoughts and beliefs about your condition can affect your outcome to a far greater extent than most drugs or workouts you might try. We now have solid scientific research and lots of books that demonstrate how psychological factors – beliefs about pain, prior experience with pain, social and family support, etc – can have a direct impact on the amount of pain you feel. In addition to understanding the biology of pain, it is important to understand the psychology of pain. Beliefs, feelings, and attitudes play an important role in determining how you experience pain. Fortunately, you can learn to use a number of mind-body exercises to adjust your thinking and thereby minimize your pain. For example, many patients find that their pain is worse when they feel hopeless or depressed. The reason is that these kinds of feelings lower our pain threshold. This is why most people feel better and feel less pain when they’re focusing on something they find pleasurable or positive. Obviously, focusing on positive thoughts and eliminating negative ones will help minimize the amount and intensity of the pain you feel, but it’s also important to understand that stressing about your situation will make your condition worse. It funny that most people are so stressed out about their condition that it not the condition that is the problem, its how you feel about your condition that is the problem, So let me give you two more nuggets of inspiration. It’s really a difference of degree. Believing in something, say, being 100 percent free of back pain is fine. But if you simply believe it will happen and then have a setback or flare-up, you’ll find yourself doubting or questioning that belief on some level. On the other hand, knowing that you’re going to get 100 percent relief will help you get through the inevitable ups and downs. So live knowing. You should go through each day confident that you are going to get better and stay healthy. It starts with your thoughts and the words you use. These will affect your actions. For example, if you haven’t been able to do something you love to do in a very long time, tell yourself you’re going to be doing it on a specific date in the future. Talk to everyone about it. Read books and watch videos about it. Fill your mind with the joy of it. Then begin to prepare for it. Dust off that fishing pole. Clean that bike. Go buy that new pair of running shoes and have them sitting there so you can see them every day to remind you that you expect to run, go fishing or go biking again. All you need to do is seek professional help with any one of the practices mentioned above, or spend a few minutes each day implementing some simple mind-body exercises and techniques from a self-help audio CD. You’ll notice a difference right away. The first thing you’re likely to notice is a level of calm and relaxation you may never have felt before. Then you’ll start to feel a lessening of the intensity of your pain. 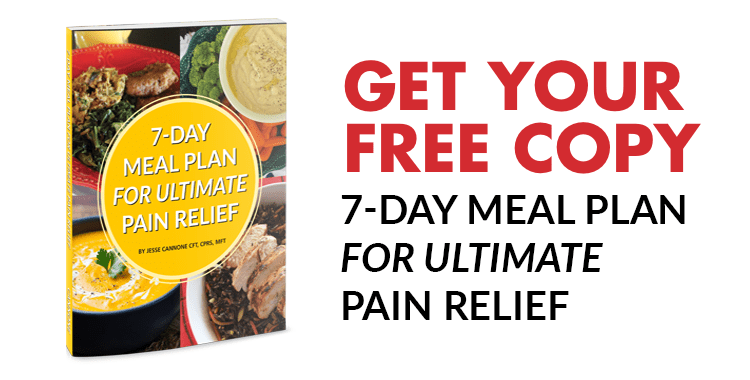 I must remind you that while these techniques and exercises can help and will minimize or eliminate the pain you feel, they cannot fix any physical problems that may be causing the pain. Remember, it’s critical that you address the cause of your pain with a physical solution. At the same time, you can use these powerful mind-body exercises to reduce and manage your pain. And unlike medications and drugs, mind-body exercises don’t have dangerous or negative side effects. Instead, they offer positive life changes that can improve your health and well-being. Have you ever yelled at your kids when you’re bone tired? Brushed off your spouse because you couldn’t keep your eyes open — only to be wide awake two hours later? I know I have. And if you’re like me, the last thing you want to do is hurt the ones you love just because you’re tired. With enough sleep you feel happier and more energetic. You truly enjoy your time with your family — and they enjoy you too. But what do you do when deep, peaceful sleep seems impossible? Take all natural Sleepzyme™. It works for me. And listen to how it helped Margaret. You can be the person you want to be for your family — just like Margaret. Don’t wait another minute to get the sleep you need to enjoy life. Click here now and find out how Sleepzyme™ can help you.